While you can’t just withdraw money from another person’s bank account, you can deposit money if the situation calls for it. As long as you have the other person’s account information and all paperwork is filled out properly, you can make the deposit. Just make certain the person knows you’re putting money in his account. You don’t want him wondering where it came from. When you owe someone money and write them a check, they usually cash it by taking it to their bank. If you want to deposit money in someone else's account, you can still write the check but take it to the bank yourself, cutting out the middleman. Write the check out payable to either the account owner or "Cash." Endorse the back of the check by writing “for deposit only” or by instructing the account owner to endorse it with his signature. Either way, write the account number below the endorsement. When you get to the bank, fill out a deposit slip. Write the account owner’s information on the slip, including name and account number. Occasionally, you will be required to include an address and phone number, so be prepared to provide that as well. Indicate the amount and date of the deposit. How Do I Get My Student Loan in Cash? 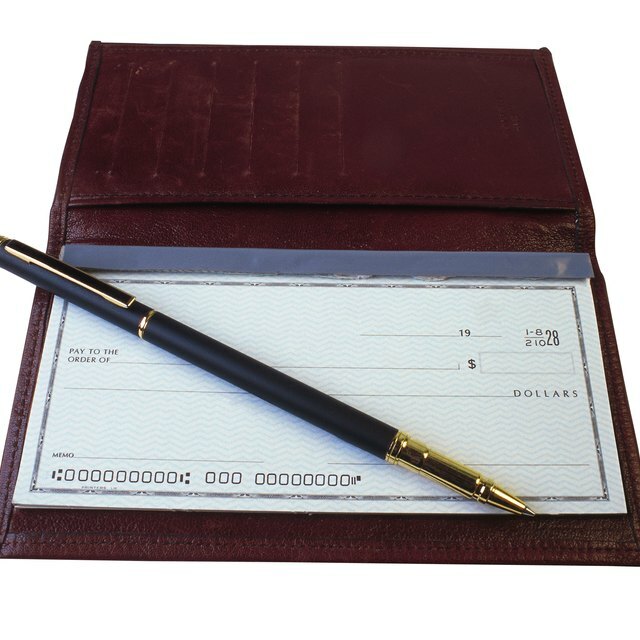 Bring the check to a bank teller and indicate you want to make a deposit. After the teller takes the check, ask for a receipt for the transaction. Verify that the amount of the deposit and the account number are accurate. Keep a copy for the account owner. A wire transfer is a direct transmission of funds from one back to another. Begin the process by requesting a wire transfer form from your bank. Provide all the necessary information on the form, which typically asks for your name, address, account number, and the amount you wish to submit. In the beneficiary section of the wire transfer form, write the account holder’s information. In addition to personal information, you'll have to provide the recipient's account number and the routing number of his bank. Once the form is complete, submit it to your bank, along with any necessary fee. This will vary by bank, but typically ranges between $15 and $30. Fees may vary based on whether the wire transfer is domestic or international. Some banks also allow you to make wire transfers online. If you want to deposit cash into another person's account, follow the steps for making a check deposit. Go to a bank, complete a deposit slip, and provide the cash to the teller. Since cash transactions are hard to trace, be extra sure to get a receipt for any cash deposits. Some banks allow you to make wire transfers online.